On Tuesday, September 23rd, WKCR will conduct its annual all-day tribute to John Coltrane on the 88th anniversary of his birth. Born on September 23, 1926 in North Carolina, Coltrane is celebrated to this day for his innovative work on alto, tenor, and soprano saxophones, as well as his enormous contributions to the genres of bebop, hard bop, and free and avant-garde jazz. From the late 1940s to the mid-late 1950s, Coltrane collaborated with numerous jazz titans, performing as a sideman with the likes of Dizzy Gillespie, Thelonious Monk, and Miles Davis, among others. As his career evolved, Coltrane delved more into the world of avant-garde music, producing some of jazz’s most influential and groundbreaking albums, including 1960’s Giant Steps and 1965’s A Love Supreme. The broadcast will feature special interview with saxophonist Evan Parker and trumpet player Peter Evans from 7-10pm. 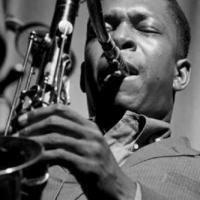 Join WKCR this Tuesday as we dedicate 24 hours of programming to celebrate John Coltrane’s prolific career.